Aesculap has grown into one of the largest and most respected manufacturers of spine surgery instruments in the world. Over the years, Aesculap has focused its expertise in the areas of orthopaedics, spinal implants, neurosurgery and vascular systems and sutures. To be more responsive to its growing customer base in spine and orthopaedics, Aesculap Inc. formed a new company, Aesculap Implant Systems Inc. The Aesculap Implant Systems Spine Division is committed to becoming an invaluable partner in the field of spine surgery. Aesculap Implant Systems Spine Division concentrates on developing innovative implants and systems for the stabilization of the cervical and thoracolumbar spine as well as the preservation of mobility of the spinal column. Products include cervical implants, lumbar total disc replacement equipment, ACDF surgical instruments and more. CeSPACE is a spacer used for cervical interbody fusion. It is indicated for the treatment of degenerative diseases of the cervical disc and instabilities in the C3 to C7 region. 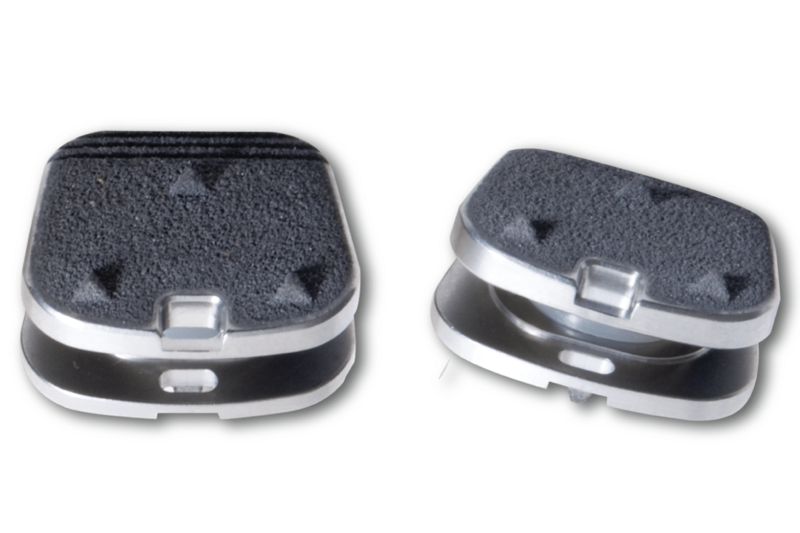 The design of the CeSPACE implant allows a maximum contact area between implant and vertebral endplates. CeSPACE implants are available in PEEK and Titanium, depending on the preference of the surgeon. 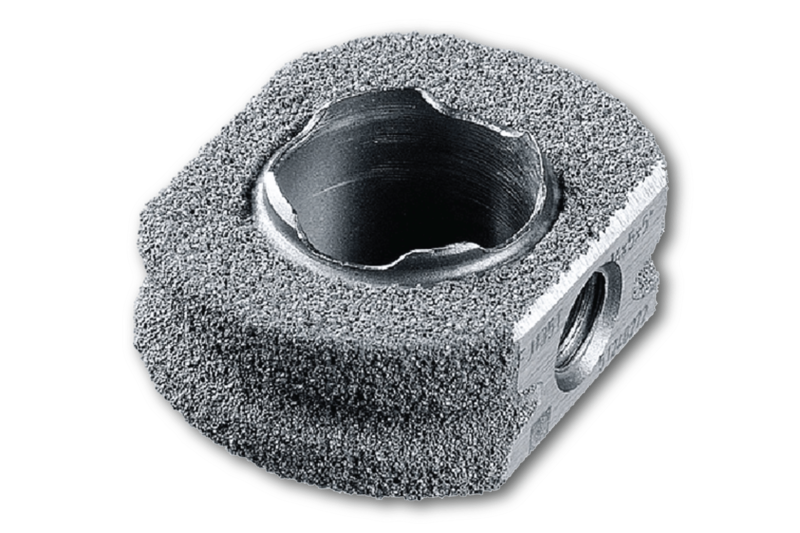 The activC intervertebral disc prosthesis is used for replacing intervertebral discs in the cervical spine. The prosthesis restores the disc height and the segmental mobility. The prosthesis plates and the polyethylene inlay together form a ball & socket-joint. The polyethylene inlay is anchored to form-fit in the inferior prosthesis plate. 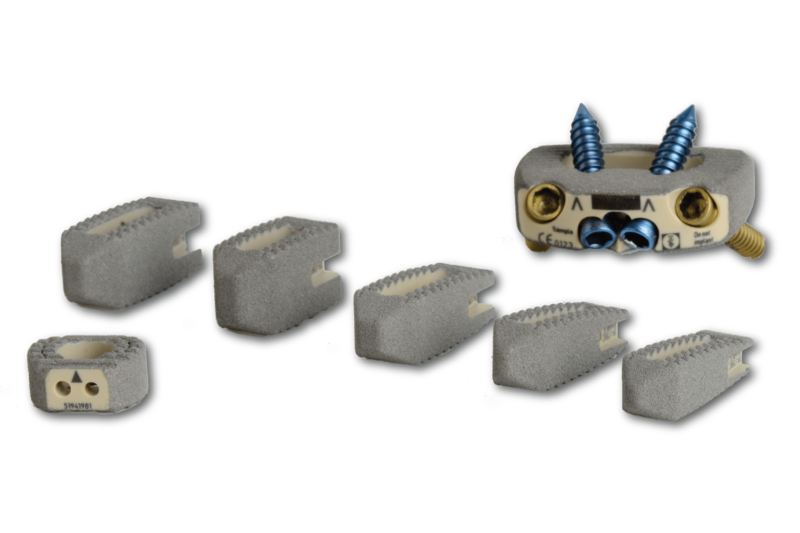 The activC intervertebral disc prosthesis are supplied fully pre-assembled.